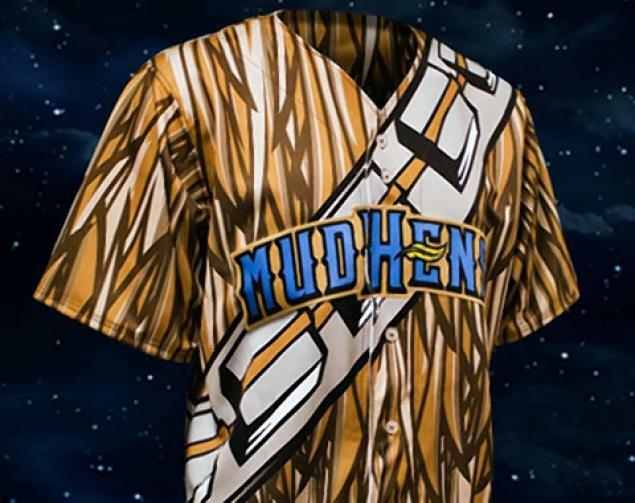 And if the Wookiees win, that will be a good thing. This entry was posted in Skiffy and tagged Star Wars by Mike Glyer. Bookmark the permalink. It would help if everyone kept the same tempo. They’re like an orchestra without a conductor. I liked the Devo sunglasses on the triplets. 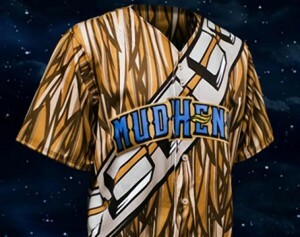 Don’t forget that the Mud Hens were the team beloved by Cpl. Klinger on M*A*S*H.
I’m not sure, but I think I’d rather walk around in a T-shirt that read, “Bozo, the World’s Most Funniest Clown.” The one the Mud-Hens will be wearing are in too much good taste.